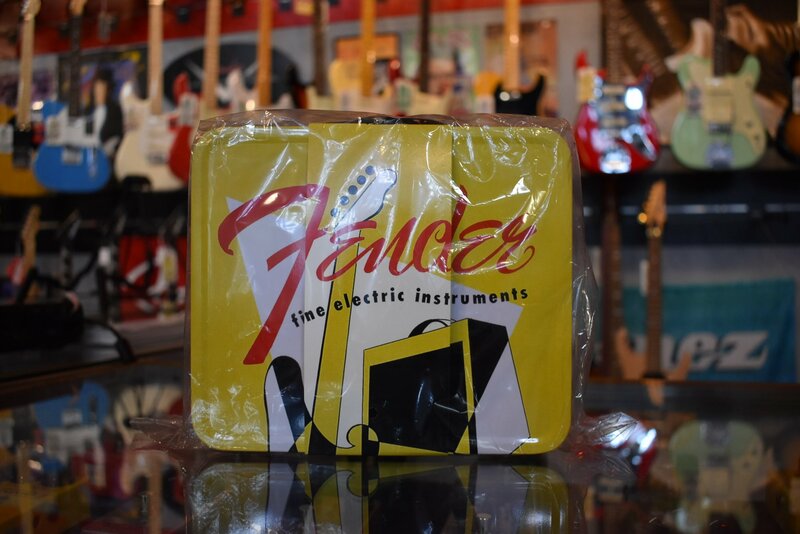 Fender Vintage Lunch Box Accessory Pack Comes with Strings, Strap, Peg Winder, Clip On Tuner and Picks Packaged in a Cool '50s Retro Metal Lunch Box. Be the Coolest Guy or Girl in the Lunch Room! Limited Quantiites! OUR PRICE: $ 39.99!